'Who' You Choose To Capture 'Your' Love, Hugs & Laughter Is A VERY Important Decision. Co-Bear Photography Wedding Coverage Begins At $500 And Collections At $750. Portrait Sessions Begin At $75 And Come With Our 100% Love Your Images Guarantee! If You Don't Absolutely Love The Images, We Refund The Session & You Pay Absolutely Nothing! But... 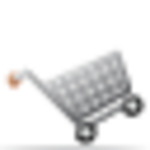 When You Do Fall In Love With Them, And We're Confident You Will, You Agree To A $75 Minimum Print/Product Order. For Detailed Information Please Contact The Studio! 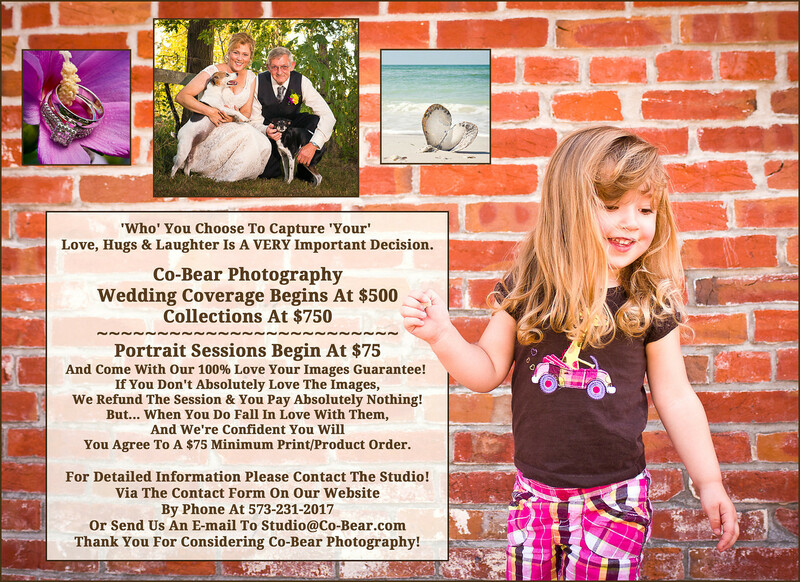 Via The Contact Form On Our Website By Phone At 573-231-2017 Or Send Us An E-mail To Studio@Co-Bear.com Thank You For Considering Co-Bear Photography! Via The Contact Form above and Thank You For Considering Co-Bear!